Is there anyplace to buy boxes not by the 20-24 for larger sets (e.g 22x16x4). I've got about 10 to sell but don't necessarily want 15 additional boxes hanging around. stumbled across shelf of clearance 8 pack 880 yd of duck packaging tape for $7 at walmart tonight - looked it up and it looks like almost a system wide deal. some stores have it for $4-5 dollar for 8 pack. a few have it for $11. 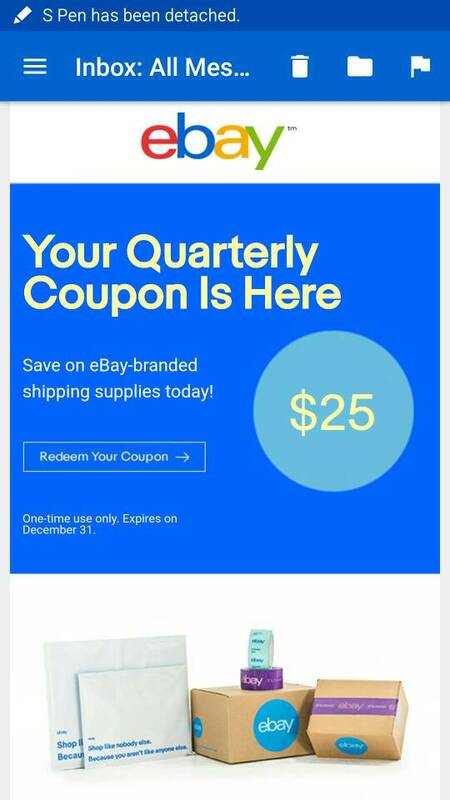 $25 coupon with a Basic Store subscription towards purchases from the eBay Shipping Supplies store (user ID: ebayshippingsupplies). Each coupon is limited to one use per quarter. Minimum order of 100 kills it for me. Although I do like the quality of Uline boxes. Anyone got a link or a place where they get 6 x10 bubble mailers in bulk. I bought a 100 a while ago and I am about to run out. Got that batch from Amazon but the quality wasn't that great. I usually buy from EBay, but it’s been a long time. If you have an eBay store, they throw out a $25 coupon every quarter for shipping supplies, including bubble mailers; but they have the eBay name and logo on them. Home Depot has 18x18x24 and 22x22x22. Staples still sells boxes. I bought some on EBay recently using coupons. What's the best box from Uline to ship the Quantum Explorer set? NVM, I see all the info on the first page! There are several folds to reduce the depth. I now use ACS Direct and have double-walled custom-made boxes for large/medium sets and I use Staples for A3/A4 sized boxes, you'll need to call them to get a good deal. A decent 500x400x100mm and 550x350x100mm box is impossible to find off the peg. I find that LiL quality has nosedived since the flaps no longer line up properly. I now join forces with other eBayers selling different items and buy boxes by the pallet for peanuts each. For modulars, join forces with others on here who live close and get ACS Direct to deliver a pallet that you can split. I used 600x500x140mm (OK for Collect+) which allowed for a double-layer of small bubble-wrap and a layer of corrugated card on top/bottom. I threw a packed Pet Shop down the stairs when having a tantrum one day and it was totally unscathed. Staples have been clearing a lot of boxes and most of them good quality, pulled in about 500 in total of assorted sizes last week . Might still be some worthwhile sizes left. From 11/11–11/17, gather up your unwanted electronics and bring them to your nearest Staples® store and Rewards members will receive a coupon for $10 off your next purchase of $30 or more. Exclusions apply. See details below. Can’t make it? Free electronics recycling is available every day in store. Are Staples still trading? All the stores in South Wales seem to have changed to Office Outlets. Yes, they are online only.